The winter season brings us the much coveted Anemone. With it's deep blue/back center and delicate papery petals it never fails to make an impression. 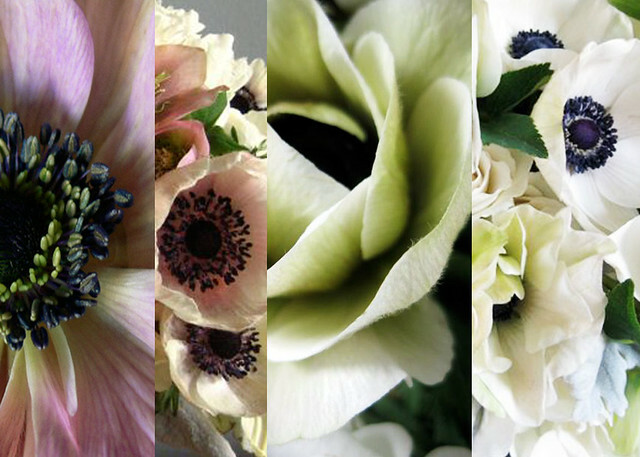 We'll mix anemones with other seasonal blooms to create a wintery arrangement in a silver footed urn. Great class, would do it again in a heartbeat. Looking forward to seeing photos of everyones work. Thanks again ladies!